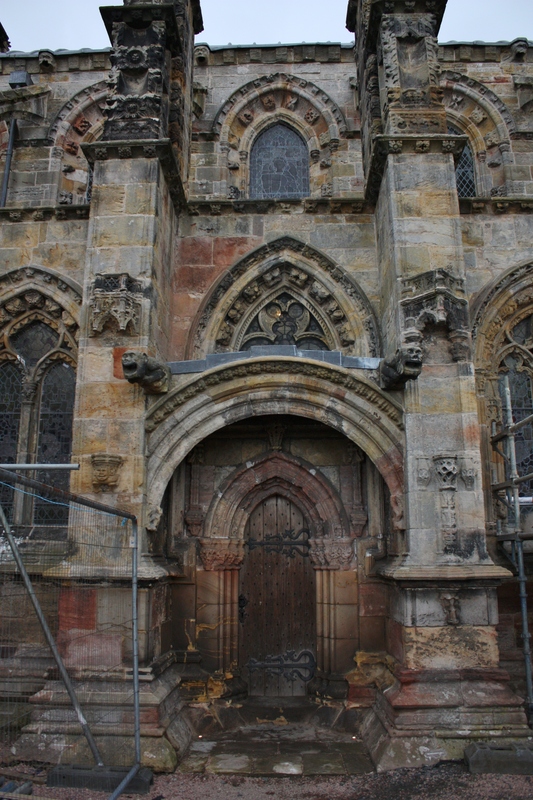 If you’re familiar with “The DaVinci Code”, the plot’s climax was filmed at Rosslyn Chapel. In Dan Brown’s book, he claims the Knights Templar built the chapel even though the Knights had died out 100 years prior to the completion of the Chapel. 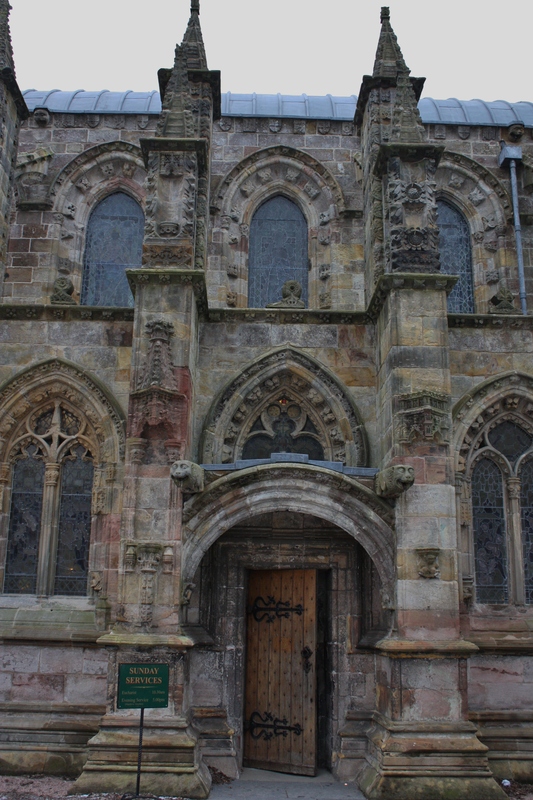 With or without the Dan Brown hoopla, Rosslyn Chapel is well worth a visit. 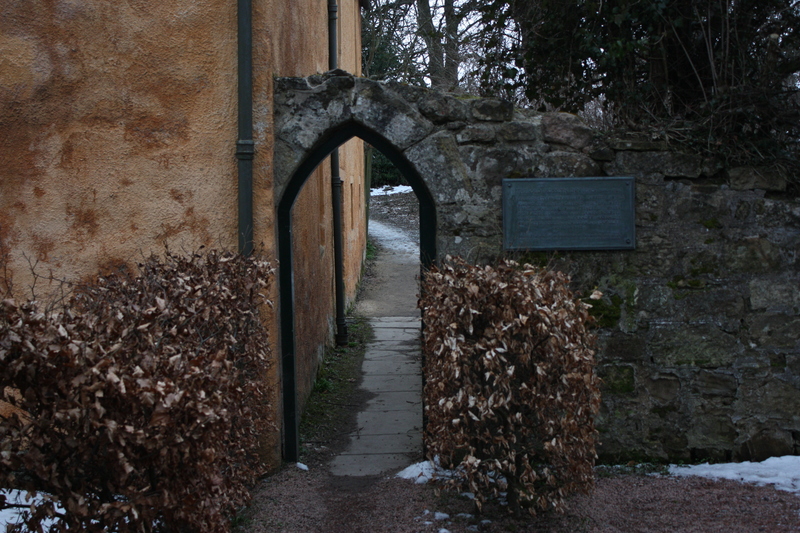 The Chapel is located 7 miles west of Edinburgh in Roslin and was built in the 15th century for William St Clair (Third Prince of Orkney). It’s a working church called “Church of St Matthew.” It has an ornately carved stone interior which wasn’t in fashion at the time it was built. The Masonic artwork, which seems to cover every surface of the chapel, is rich in symbolism. There are carvings of flowers, angels, biblical lessons, pagan “Green Man” & other figures associated with both the Freemasons and the Knights Templar. 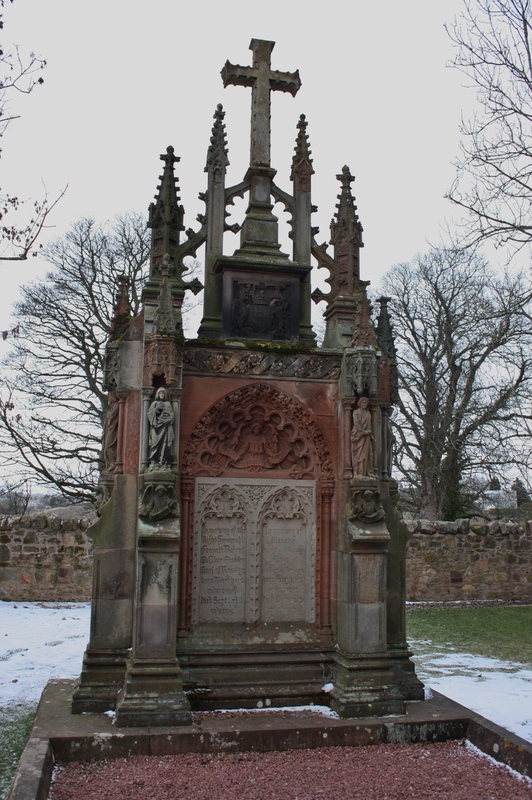 Some researchers believe the symbolism in the carvings suggests Rosslyn Chapel is a Secret Knights Templar site and it may store either the “Holy Grail” or John the Baptist’s head is in the vaults or perhaps in the master’s column. Our guide told us before “The DaVinci Code” their visitors numbered about 30,000 per year but once the book and movie came out it soared to over 120,000 a year. You can’t buy that kind of PR! The boon in visitors has allowed the chapel to fund much needed restorations. The tour guide also mentioned the number of true believers/conspiracy theorists who visit the chapel increased after the release of the movie ~ including a man, complete with axe, who wanted to look for the treasures in one of the columns. The Chapel is very impressive and we especially liked seeing the carvings of plants which are indigenous to the Americas but were carved PRIOR to Columbus’ discovery of the New World. Makes you wonder how the carver knew about such things. 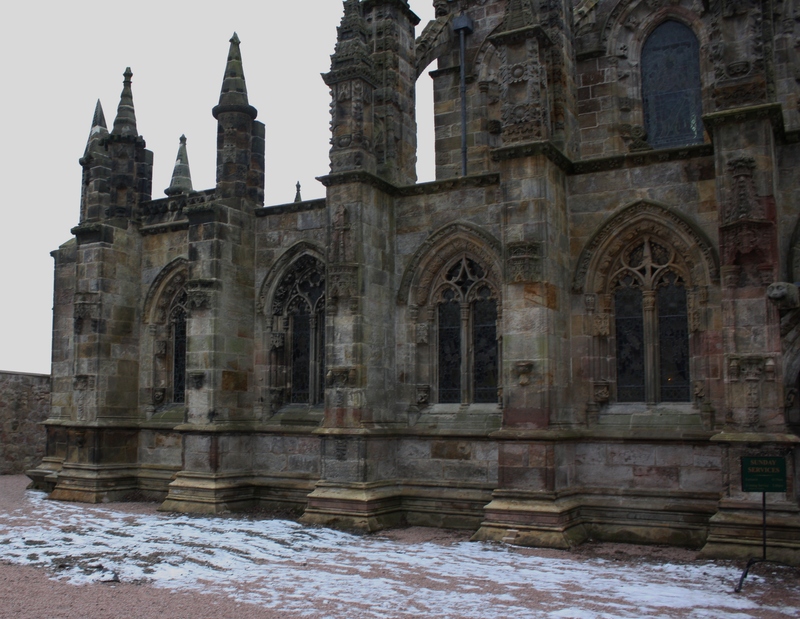 Rosslyn Chapel is worth the easy half day visit from Edinburgh. We took Bus 15 which runs every 30 minutes from Princess Street and it takes 30 minutes to get to Roslin. Give yourself about 1.5 hours to visit the chapel and grounds. It cost £18 for two adults and our 15-year-old was free. Sidenote: The bus didn’t have an indicator as to the next stop so we told the driver where we were going and he was nice enough to let us know when to hop off. No Photography was allowed inside and there’s a stone wall around the chapel so it was difficult to get a photo of the entire building. For inside photos and more information on the Chapel, click here. Happy to hear you like the photos. Have to admit I thought about DaVinci Code at first but now that I’ve been there, it’s nice to know there’s so much more to it.